Friction is what causes your business to miss out on sales and marketing opportunities. Lone Fir Creative identifies how to reduce friction in your sales & marketing so you can get back to what you do best...growing! Get started on a call with one of our strategists. They will help identify your goals for your business and help with some ideas that might be standing in the way. Let's create a plan, either from one of our pre-designed package or something custom that fits your business needs. Transform your marketing and implement a plan that helps your locate, capture, nurture and convert more leads. Get started with one of the below packages or Schedule A Call With Us so we can understand your needs and provide a custom solution. 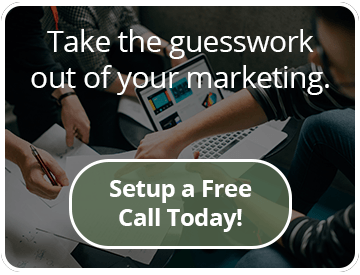 Three (x3) value packed marketing & sales strategy/coaching Strategy calls recorded and share shared so you can always go back to the ideas and concepts later. Quick wins report that is actionable for things you can do to grow your business right now! Everything in the Starter package plus building out your sales funnel. Needing a custom solution or wanting more explanation on the above? Schedule a time with us so we can understand your unique sales and marketing needs. "Lone Fir are the pros"
John C, Pinnacle Capital Mortgage. ...experienced and creative. Most of all, they get results. They set the right expectations and then exceeded them. They don't always say what I want to hear, but they have earned my trust...Unlike other firms, they think outside the box and aren't afraid to shift when it makes sense. ...has guided us in identifying who our main customers are by building personas and developing strategies around them; and take the time to educate us on new ways of thinking about traditional sales and marketing techniques. We have worked with Tyler and his team on a number of initiatives, each time they have spent the time to fully understand the requirement before they commit on whether they can help. They have deep HubSpot domain knowledge and some great designers, Would definitely recommend working them. What does that mean? It means I’ve spent time learning a storytelling framework that helps create marketing messages that works. This framework called Storybrand has helped thousands of companies of all sizes create enormous clarity in their marketing, sales, and every other facet of their company. Which results in faster growth, increased leads and growing revenue.